Aravalli hills are hot spot of subtropical plant biodiversity. The tribal people of the region partially or fully depend upon herbal drugs for primary healthcare. Overexploitation of these plants has made several of them as endangered species. 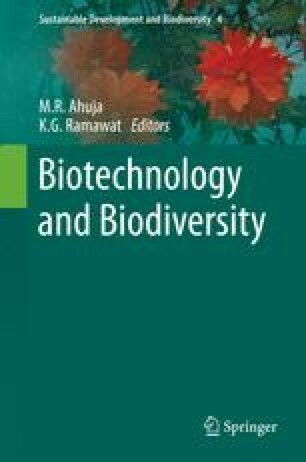 The present paper aimed to document the biotechnological approaches being used to conserve ethnomedicinal plants of Aravalli Hills, the bioactive molecules present in them and their traditional uses and the modern scientific validation/assay of biological activities. Plants of Aravalli hills are showing various promising biological activities and bioactive molecules. Though various biotechnological methods are attempted for enhanced production of these bioactive molecules and for their micropropagation, yet the approaches are insufficient at mass scale level as some of the endangered species may have unusual growth requirements and thus may require modified procedures for in vitro culture. The review will be supportive in deciding the priorities at various decision-making levels and further technology development for sustainable use and conservation of these plants. This work was supported by financial assistance from UGC-DRS under special assistance programme for medicinal plant research to KGR. JA and SG thanks CSIR, New Delhi for financial assistance in the form of JRF and RA, respectively.